With soaring temperatures, pool parties during the day and the hottest clubs in the country to heat up these hot nights, there’s no place like Las Vegas in the summer. However, having an equal opportunity appreciation for more traditional summertime fare, Sin City Press hit the road for a few days to visit a different, yet equally popular summer destination, scenic and historic New England. During the summer of 2015, we visited three unique travel destinations, and here’s what we found: Located approximately 35 miles from the state capital of Providence, historic and picturesque Newport Rhode Island has played host to many filming locations for both movies and television, and has been the subject of just as many features in print (notably, Theophilus North). 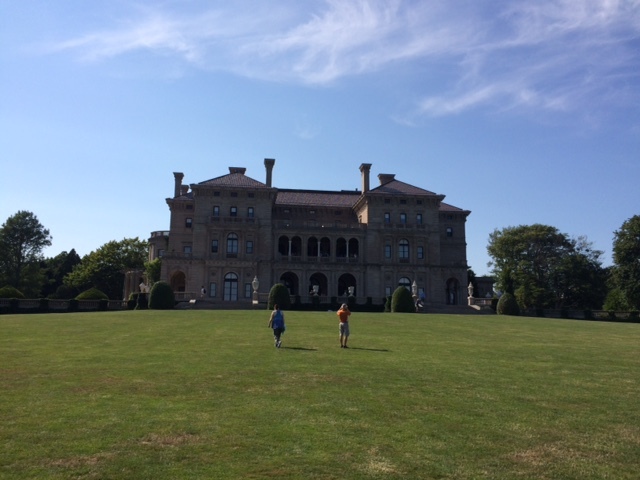 Thanks to Ms. Andrea Carneiro, Director of Communications for the Newport Preservation Society, we were able to visit one of the city’s most notable attractions, the Newport Mansions. 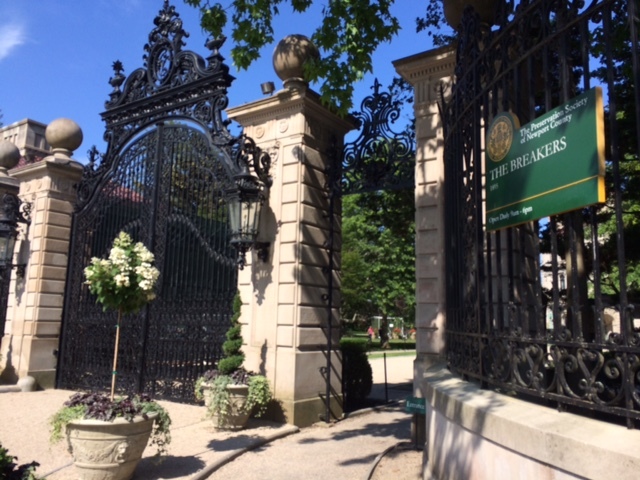 The main gate of The Breakers Mansion on a lovely summer day…Newport at its best! Spanning back to the storied “Gilded Age” of an America burgeoning economically as a result of the industrial revolution, the Newport Mansions were erected by the ultra-rich families like the Vanderbilts. Serving as both a monument to their financial accomplishments and a summer getaway from places like Wall Street, the Mansions still dazzle with a strange combination of opulence, grandeur, and, to some eyes at least, disturbing decadence. Stockbroker Adelma McNichols found all of these qualities in her visit to The Breakers: “This is truly amazing. Walking through these doors, I can feel the extravagance in the way these people lived.” A New Yorker who has worked in the financial industry for over 20 years, McNichols vacations in Newport every summer. “Coming to these amazing houses reminds me of what’s possible in life”, staring up at the breathtaking ceiling of the Grand Ballroom, she continues, “It’s hard to believe people can conceive such splendor.” Other guests received the posh extravagance of The Breakers with less wonder. Dewey DeCosta, a schoolteacher from Fall River, Massachusetts, found the opulence and grandeur less appealing. “Disturbingly decadent”, he commented, and added “It would be hard to imagine how these people could have lived in a museum (like this) and been happy.” Regardless of how guests reacted to the glamor and excess of the Gilded Age of America, there is little conjecture on the quality of the product and the presentation of the tour. A guest in The Breakers embarks upon a self-guided tour of the premises, which they control by manipulating a headphone set given to them. Each notable attraction within the mansion has a corresponding three-digit code which the guest can enter. This controls the audio content delivered to the headphones. In this manner, a tour-taker can experience the “bare bones” version of the tour, stay for hours learning every detail of the mansions’ rich history, or anything in between. The staff is nothing short of highly professional, the grounds kept perfectly in accordance to the standards of elite living in Newport a century ago, and the wealth of information made available is second to none. 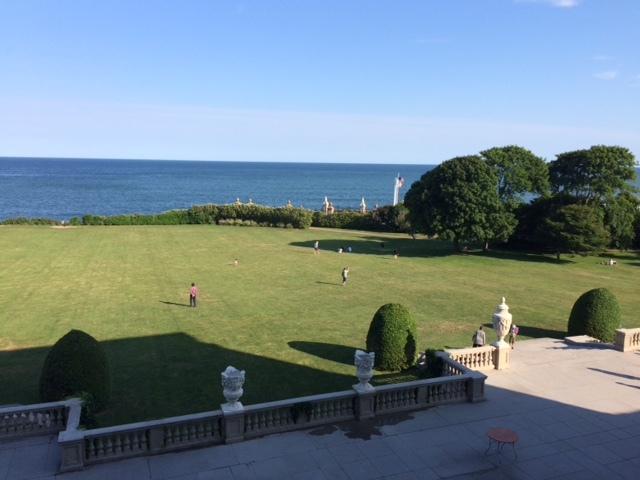 If youre lucky enough to find yourself in Newport, R.I. during the summer months, a visit to The Breakers is a rich, rewarding way to spend your day. 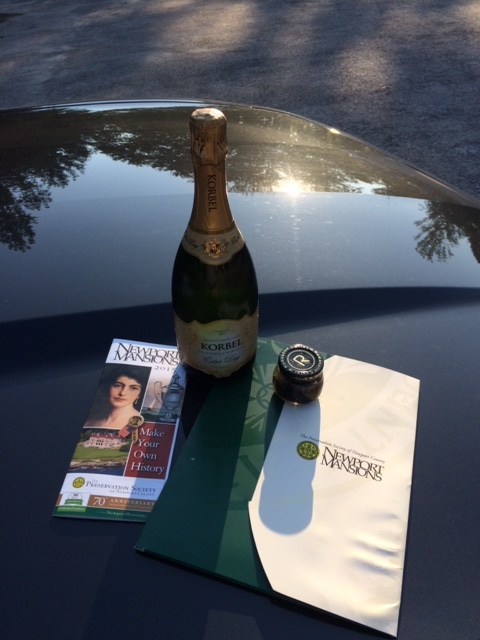 Champagne wishes and caviar dreams from a summer sunset in Newport, Rhode Island! 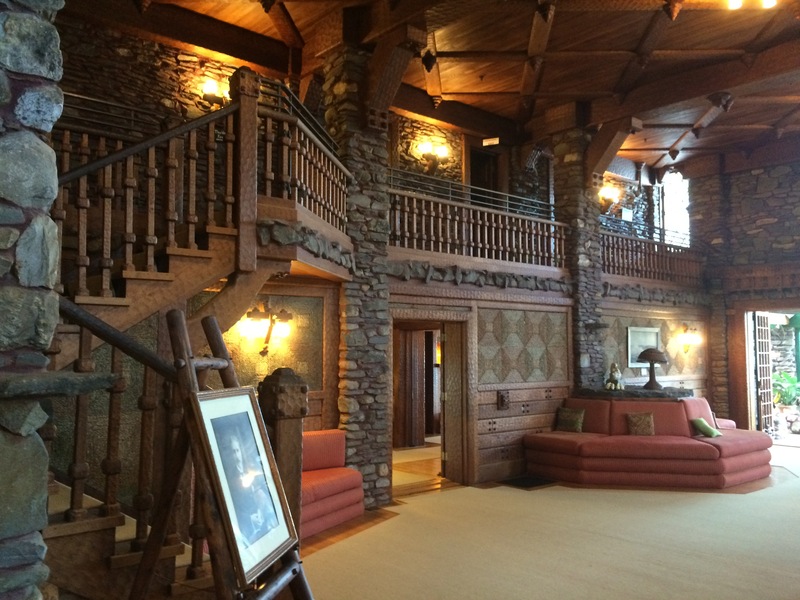 In keeping with the spirit of enjoying some of the breathtaking architecture of the region, our next stop brought us to an out of the way corner of Connecticut, and face-to-face if you will, with the amazing getaway domicile of William H. Gillette. The summer home of the eccentric actor was and is, in marked contrast to the impersonal extravagance of the Vanderbilt’s getaway in Newport, chocked full of austere personality. Gillette, who dropped out of architect school to pursue a career in the performing arts, played Sherlock Holmes on stage in several different countries, and once on film during the silent era (a clip of the restored version can be seen here) The castle, both majestic and organic in appearance and execution, embodies much of its inhabitants’ delightfully eccentric personality. Outfitted throughout with richly carved wood that gives the interior the look and feel of a work of Mother Nature rather than a mortal craftsman, the castle boasts over forty doors, a hidden bar and several other wondrous trappings. With this high degree of ingenuity and personality, it is little wonder that Gillette Castle has played host to the likes of President Coolidge, Harry Houdini and Albert Einstein. But the truly memorable experience of our Gillette Castle guided tour was not the rich history, hidden doors or breathtaking architecture. We were fortunate enough to be led through this marvel by Mr. Phil Yuris. 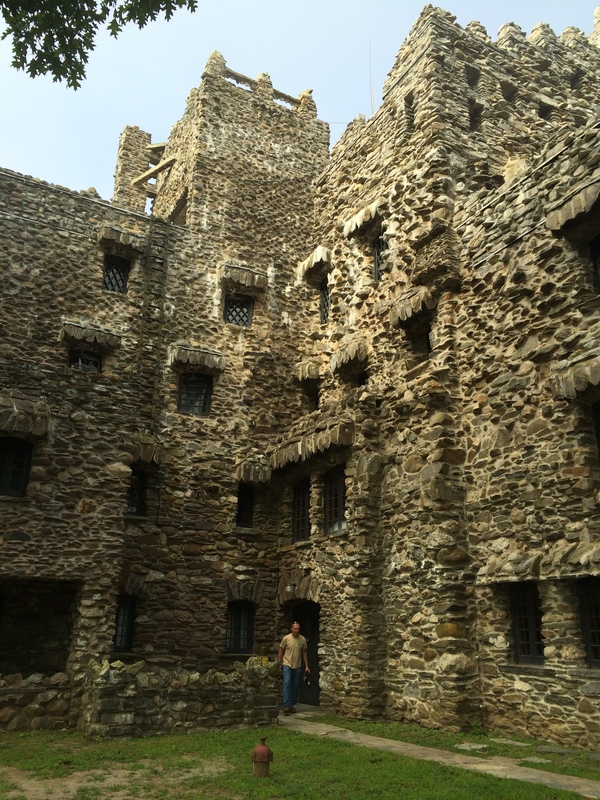 Not a tour guide by profession, but rather a supervisor with the parks and recreation department, Phil’s welcoming personality, wealth of knowledge and vibrant enthusiasm added a unique dimension to our Gillette Castle experience. While you may not be fortunate enough to be led through by Phil, a summer tour of Mr. Gillette’s summer getaway should be at the top of your list of summer fanfare! Some seasonal attractions offer thrills, chills and delights anytime of the year. A longtime October destination for us here at Sin City Press, we decided to embark upon an unprecedented midsummer trip to the Halloween Capital of the World: Salem, Massachusetts. 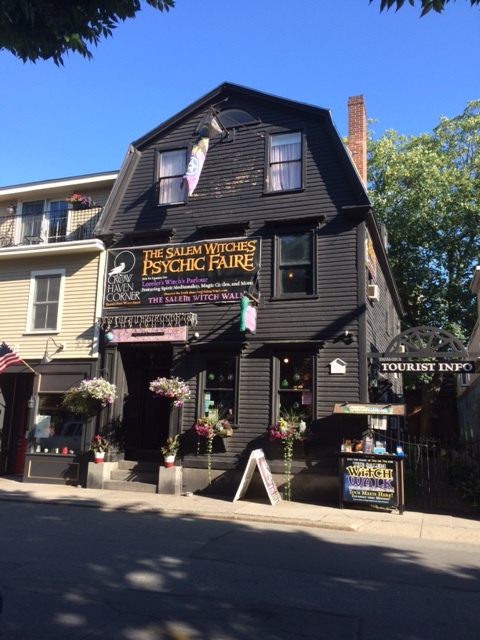 Psychic Faires and witchery abound…on the streets of Salem, all year ’round! 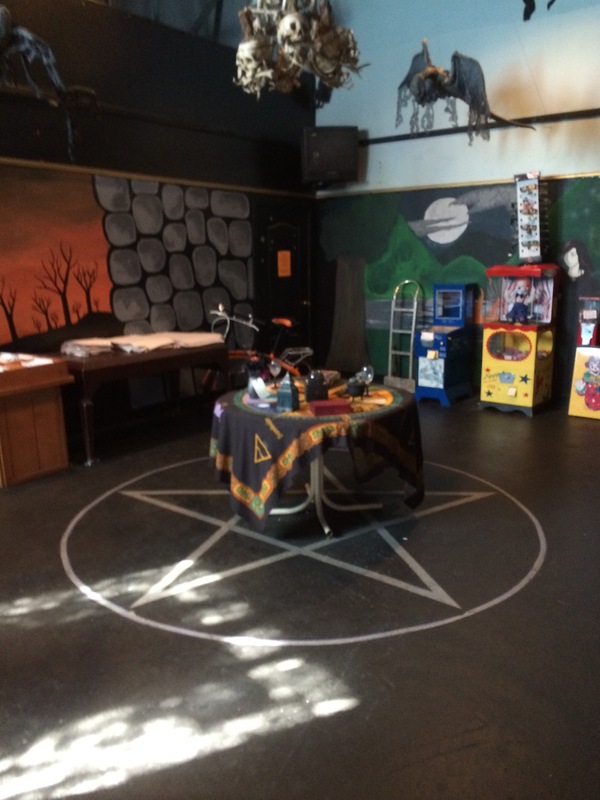 Although the fabled, month-long Haunted Happenings ceremony is a full two-and-a-half months away, Salem is alive with eclectic tourist fare, pleasant summer scenery and, when the sun goes down, dark delights. A visit to James Luggio’s Count Orlok’s Nightmare Gallery will yield enough monsters, magic and mayhem to turn any day into a chilling October evening. 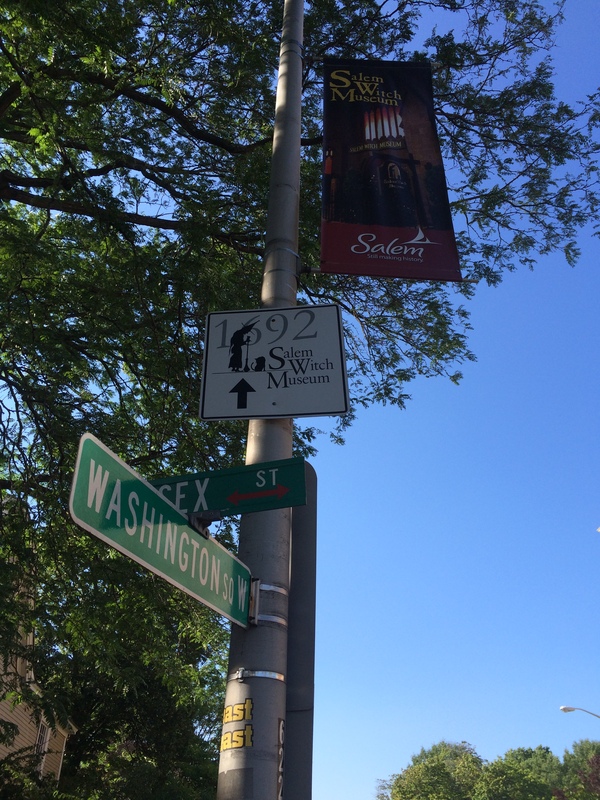 The wax museum and Old Burying Point graveyard (second oldest in the country, to the one in Plymouth, Ma.) are equally anticipated year-round attractions, and the well-rounded combination of retail shops and scares in Mr. Shea’s Haunted Neighborhood provide a dose of Halloween Season anytime of the year. Margaret Green, longtime resident of Salem and follower of the ways of Wicca, echoed similar sentiments. “Halloween is and always has been my favorite time of year. It always saddens me to see its passing.” Margaret’s enthusiasm for her favorite holiday factors largely into her decision to maintain residence in Witch City. She adds, “Here, I’m among like-minded people, friends who accept me for who I am. Here, it’s Halloween every day.” Whether you decide to join the month-long epic celebration in October, or elect to take in the haunted history in the middle of summer, we at Sin City Press wish you happy witching, somewhere…on the streets of Salem!